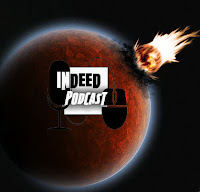 Welcome to another Indeed Podcast you crazy kids and get ready to blast off. Weekly Round-up we look at some of the government giving up power to let ISP regulate themselves. Then it's off to our Google Overlords with the creation of their one world font. Then some chatting about a planet "farting" and one big bomb being dropped. BOOM - and it wasn't a AMCE one from the coyote. Creepy or Cool looks at a company who has implanted a chip into every employee. Sit Back, Relax and don't worry about your GPS tracker. Google knows where you have been and where you plan to go. Just don't try to do anything else.